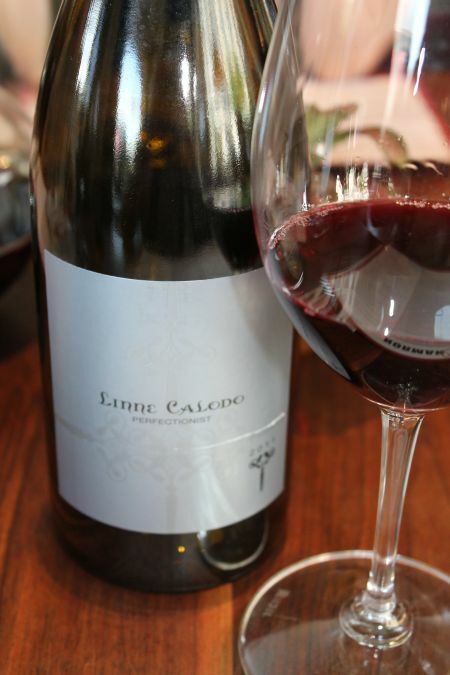 Wine List: Bill says “They have a good variety with decent price”. Outdoor seating: Yes, but we ate inside. Reservations: No, but there is private dining for up to 20 guests is available by reservation. The “Door Room” is a private room that is joined to the main restaurant through sliding barn doors. The occupancy of the room is from 12 to 20 people. 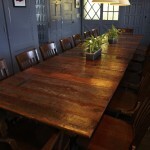 The table is constructed by Vonsalle Design Build, was constructed from a recycled barn. It can be configured into four small tables, two tables seating up to ten people each, or one large table that accommodates 18. 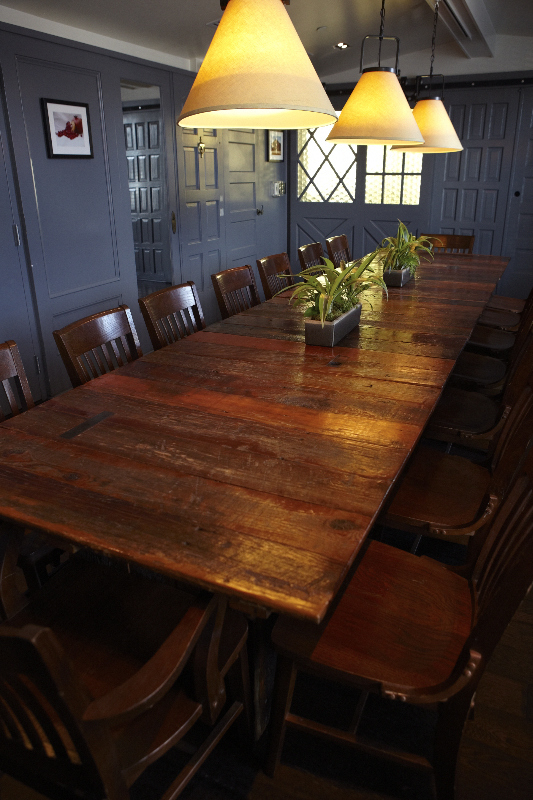 Ideal for meetings or private events. Guests can order from the main menu or the chef will create a menu for the group. Unique: The Tavern offers a selection of beers, both by the bottle and on tap, featuring many of the North Coast’s microbreweries. 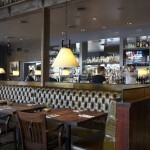 They offer cocktails and an eclectic and varied wine list featuring West Coast wines. Complimentary: Nothing really. The biggest complaint I saw on their reviews is that you don’t get anything along with your sandwiches for the price paid, unless you consider a pickle an extra. 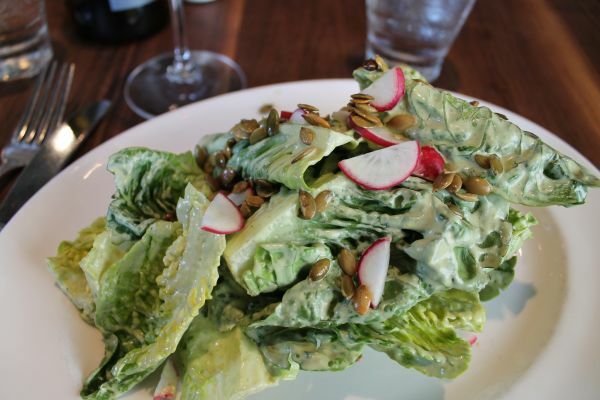 We really think it is phenomenal how the dining scene in the city of Napa has changed over the past few years. It’s being transformed into a bustling and there is FREE parking available in the parking garage located on Main Street. There are lots of things to do and see, places to stay, many more options for eating than there used to be; and there are plenty of spots to enjoy wine of course! 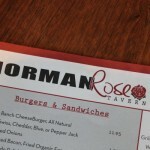 The Norman Rose Tavern is just down the road from the Andaz (formerly Avia) Hotel, on the corner of 1st Street. It’s an attractive part of town with some amazing stops and I’ll give a plug to our good friend Mitch Cosentino who’s tasting room PureCru – sits directly across the street from the Hotel. 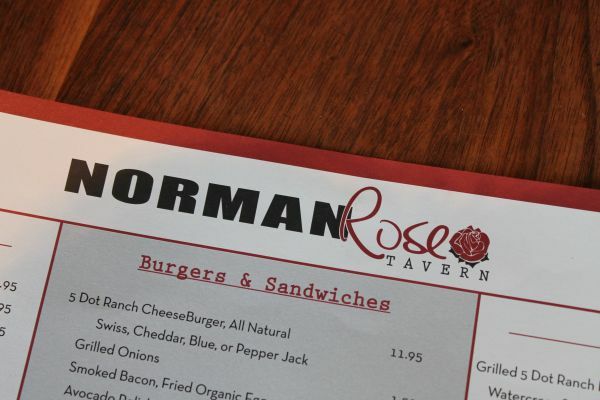 This is Christina and Michael Gyetvan’s second restaurant in Napa’s neighborhood pub. They offer elevated American classics, and are known for the burgers. They have cocktails, microbrews and wine in an engaging setting. The place has a warm, welcoming and comfortable feel located in a spot that used to be an old bank building. 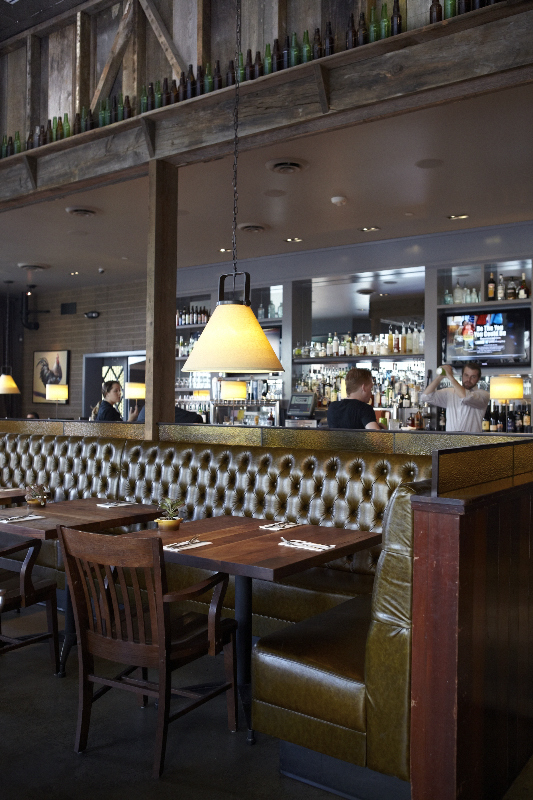 The atmosphere is classic pub, but with tasteful modern touches designed by locals Kiberley Nunn and Dan Wordn of Shopworks in Napa. Chef Douglass Seeley’s heart is devoted to classic American comfort food. He has previously worked at Tra Vigne Restaurant and Cindy’s Backstreet Kitchen, (another couple of our favorites in the Valley) where he was introduced to the bounty of California grown ingredients learned the art of curing meats. 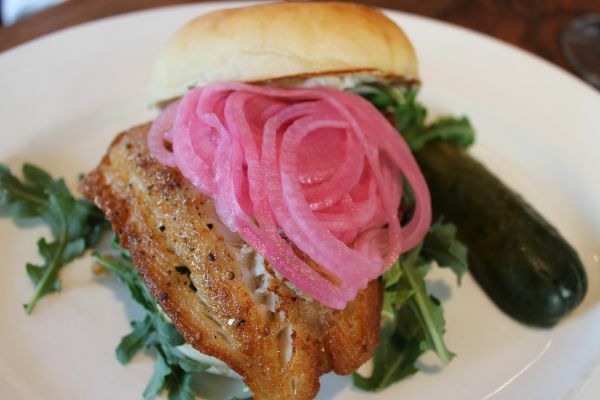 The menu as well as daily additions featured are produced with a local and sustainable approach of farm to fork food, utilizing fresh and seasonal ingredients found in the north bay. We thought it was affordable compared to other options in Napa. We started off with: Disco Fries – Pork Sausage Gravy & Cheddar Cheese ($7.95). You can top them with a fried eggs for an additional ($2), but it isn’t necessary. 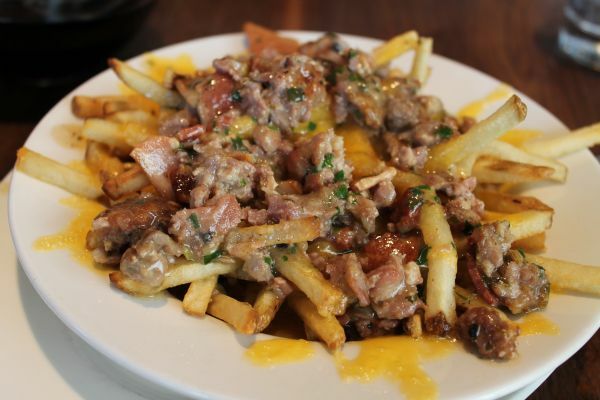 These are fresh house made french fries that have been doused in homemade gravy packed full of pork sausage, bacon and cheddar cheese. Carly suggested we must try them, but explained that we had to share. This delicious pile of goodness brings on the guilt, but it’s worth every bite! Apparently my conscious was speaking because just as we were indulging, I received a text from my former personal trainer. And no, I didn’t send him a photo of this splurge! It was so fresh and unique. It was a generous portion and extremely flavorful. It was absolutely amazing. Of course as always, I enjoy sharing bites so I can enjoy as many flavors as possible while dining out. The burger was so moist that he had to lean over to avoid dripping on his shirt. The cooked spinach was a surprise, but good! 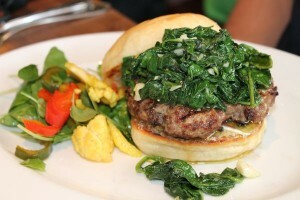 The flavors of the burger and garlic were a nice combination with the silky goat cheese. This was a superb sandwich and fortunately for me, he shared a sample as well. The lamb was flavorful and extremely tender. 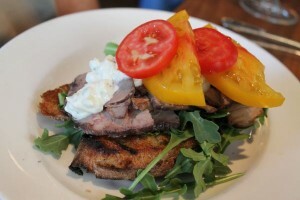 The peppery flavor from the Arugula blended well with the fresh tomatoes and bright yogurt. She said it was fresh and delicious and though she offered me a taste, I was so full from the rest of the sampling I declined. The homemade pickled onions were a nice touch and their sauces complete the sandwiches. Dessert: We skipped it considering the indulgence on the Disco fries. We also enjoyed a beautiful bottle of wine. The Perfectionist, which is a blend of mostly Syrah , Mourvedre, Grenach and a bit of Tannat was a great choice by Robert. The wines run $30 to $95 in the blends; I want to say we paid somewhere around $60 but I don’t recall for sure.